Ball lock disconnects with swivel nuts works with beer kegs. 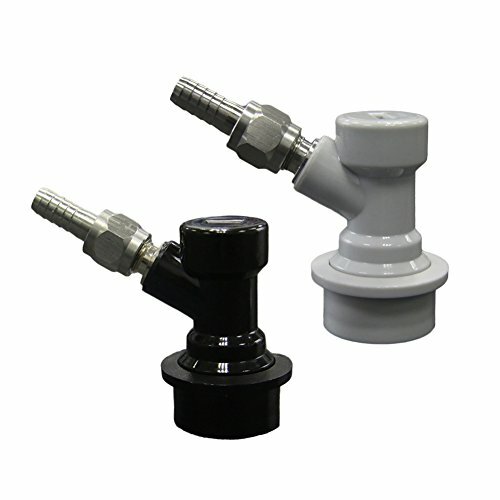 Ball lock MFL dis-connect set with swivel nuts (2) 5/16 gas, 1/4 liquid barbed by PERA. If you have any questions about this product by PERA, contact us by completing and submitting the form below. If you are looking for a specif part number, please include it with your message.